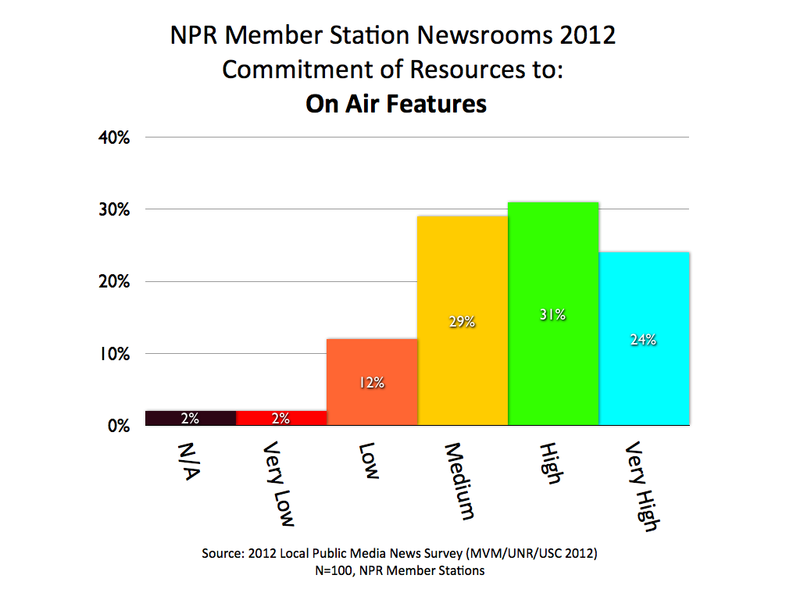 One of the longstanding questions among public radio programmers is what kind of news should we produce? 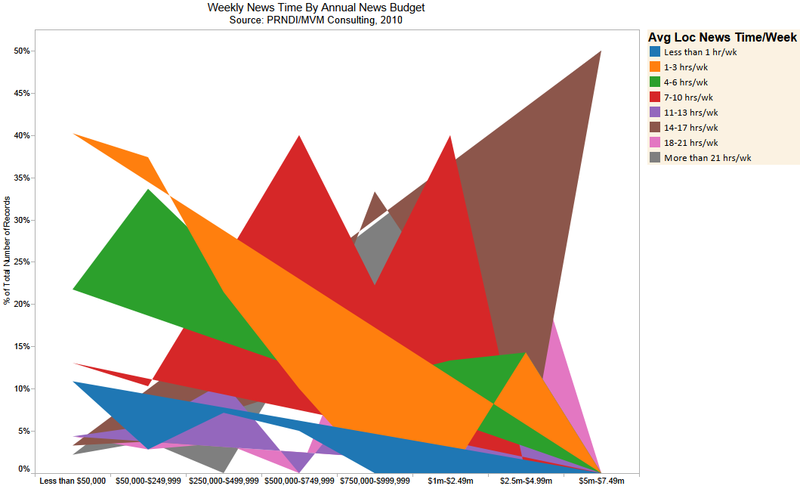 Journalists debate trade-offs between spot news and in-depth features. Producers love what the magazine format lets them do. 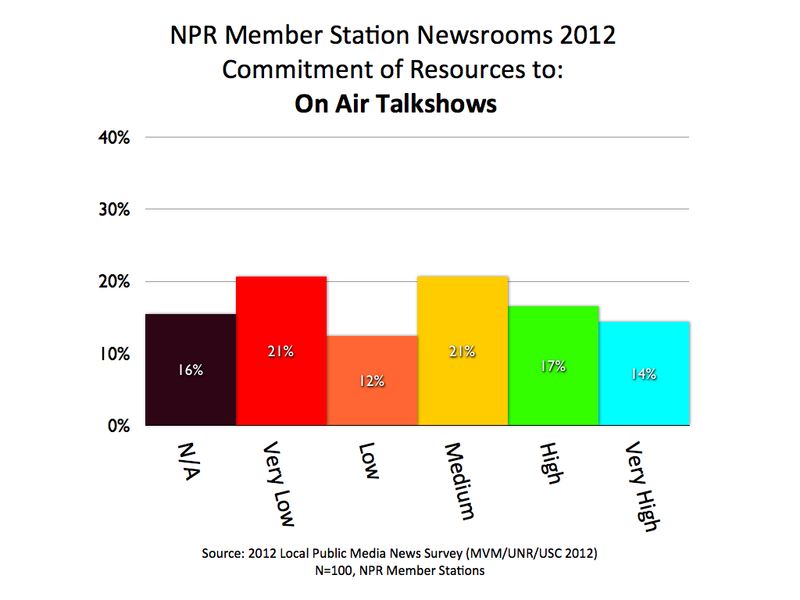 Many stations have launched local talk/interview programs as an economical way to achieve news impact. And so on and so forth. It looks to us like daily news is coming on strong. Stand-alone shows are less prevalent. 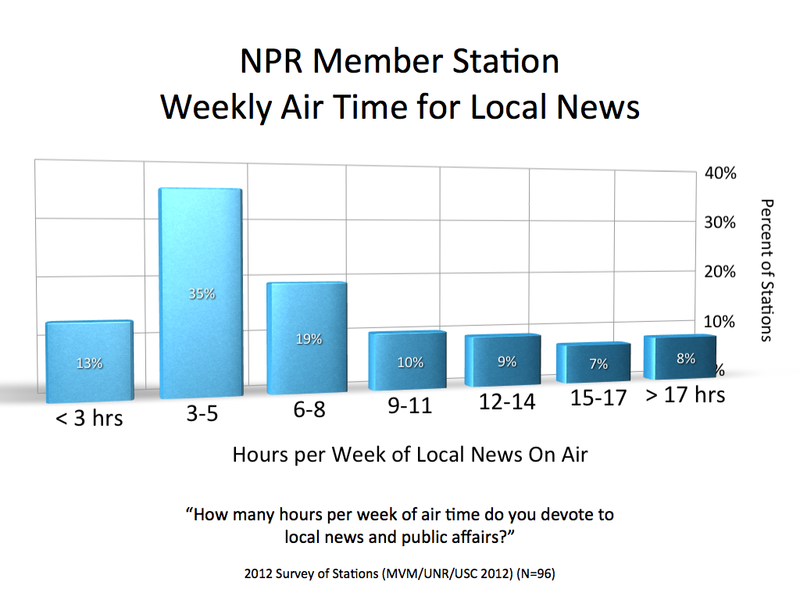 A supplemental local news survey taken last summer by consultants Mike Marcotte, Steve Martin and Ken Mills (as a piggy-back study to the CPB/PRNDI Census of Journalists) asked all public radio and TV stations in America to provide some detail on what they are producing as local news and public affairs. 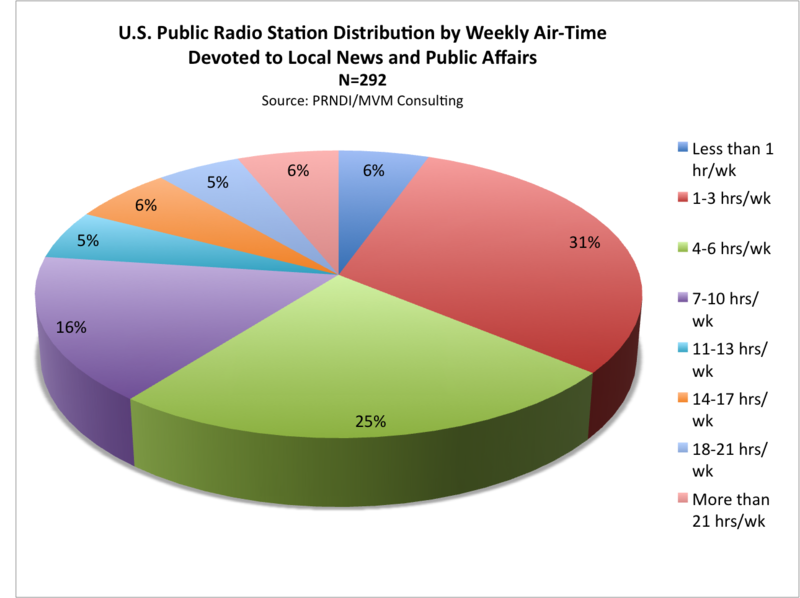 The charts below show the share of stations providing various news program types. 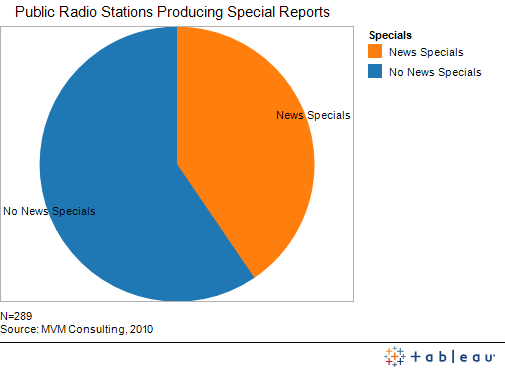 The TV-only stations have been excluded, leaving a sample of 289 radio-only, or radio-TV joint licensees. 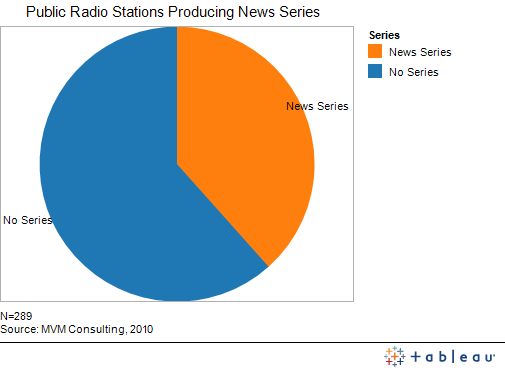 These charts are stacked in order of the most common to the least common news program types. 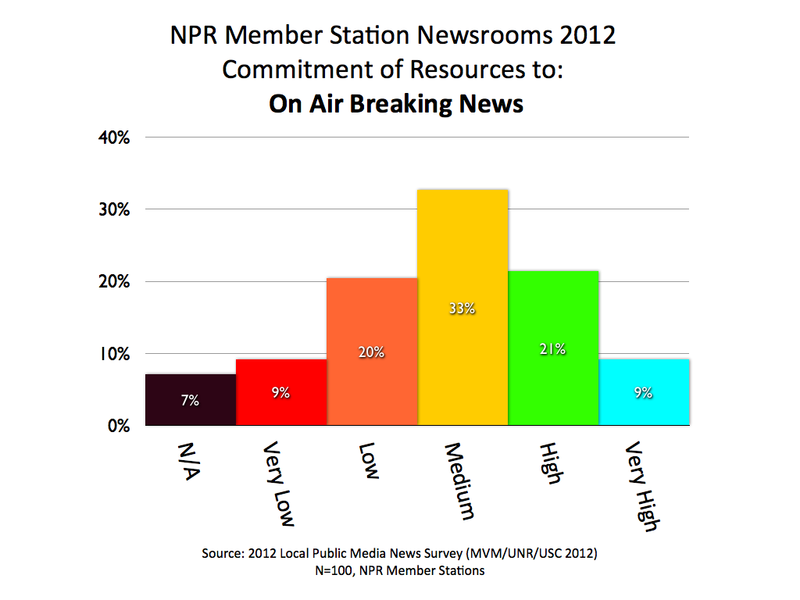 It can now be said with absolute authority that a major majority (72%) of public radio stations are in the business of providing daily local news. 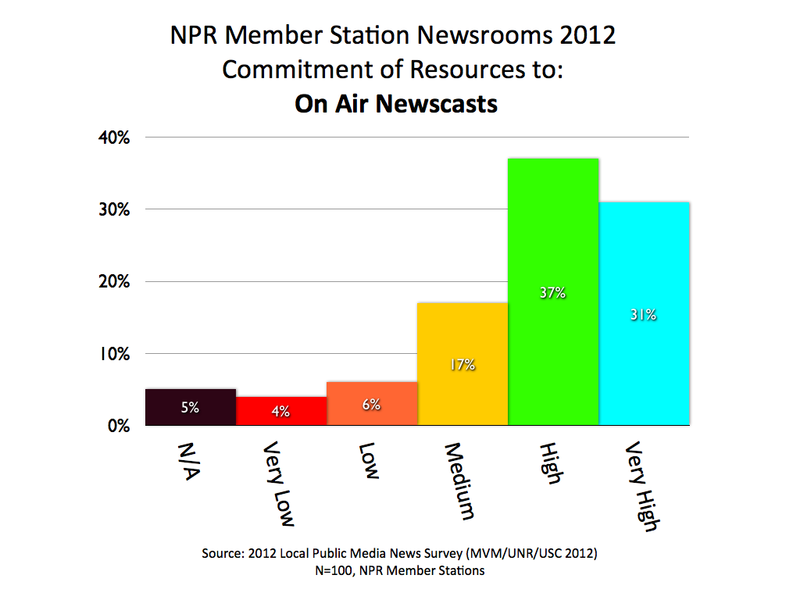 While we did not define all the program types here, the labels are part of the common parlance in local public radio news programming. In the category of “Daily Features” we might have simply said “Features” and it would have implied the same thing. 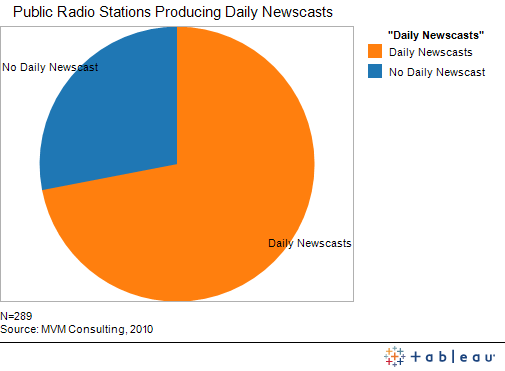 These are in-depth stories that are programmed within the daily news format clock — which 49% of stations are providing. 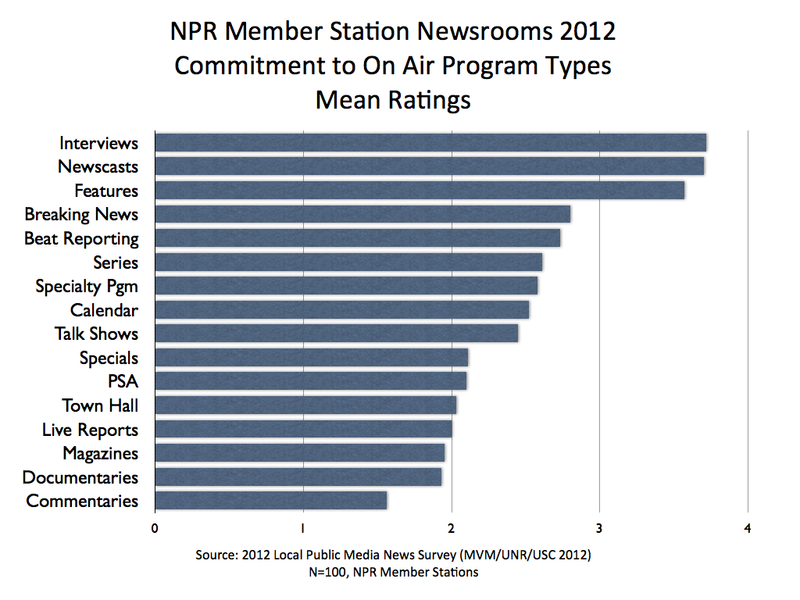 This is a very interesting finding — again because the system has debated over the years about what its journalism stands for. No one has argued against depth and context, but more and more feel the responsibility to grow their ability to respond to fast-breaking events. While the majority of stations (55%) do not provide breaking news, those who do (45%) puts this category among the leading news program types at local stations. Ranking as common is the specialty program which would be recurring coverage under an umbrella theme such as arts… or business… or health. 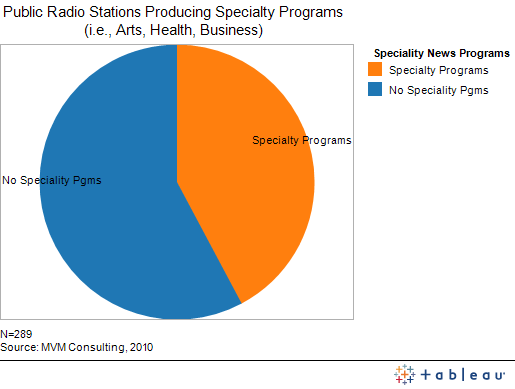 Forty-two percent of stations provide specialty programs of some sort. 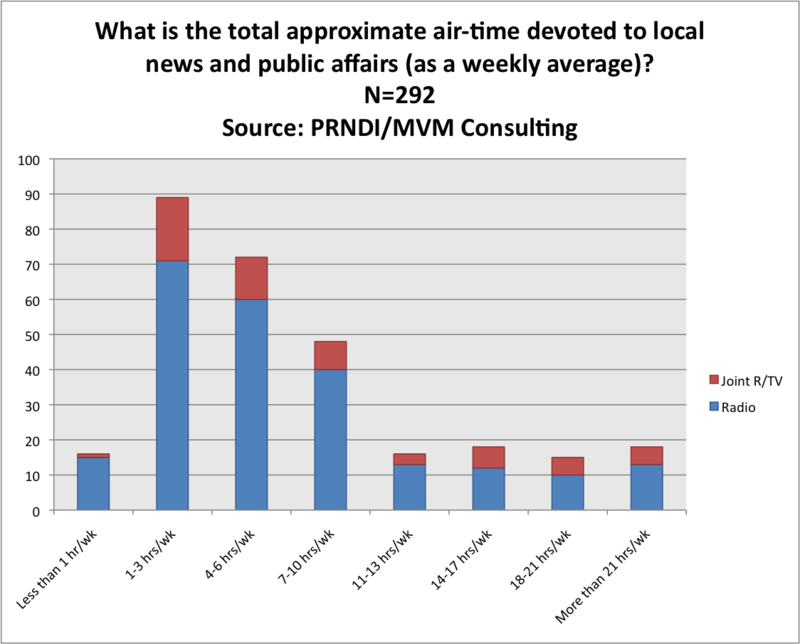 It would seem to be a good measure of local news sophistication that 41% of stations produce occasional news specials as a way of spotlighting an important issue or topic. 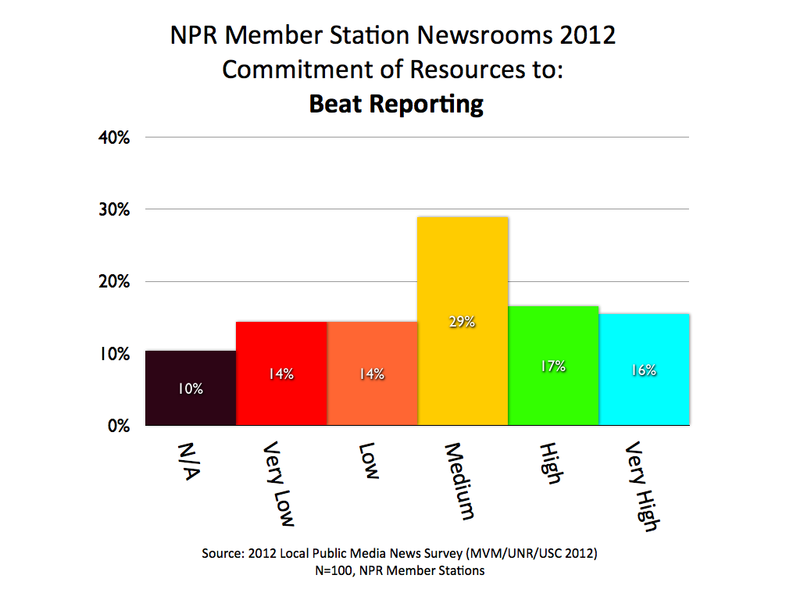 Similar to special reports, good local newsrooms put together occasional news series as a way of delving more deeply into high priority issues. Thirty-eight percent of stations do this. We discover it is more common for stations to produce weekly affairs programs (38%) than daily or monthly. Here we see that 27% of U.S. public radio stations produce weekly talk/interview shows. This is slightly more common than the daily talk/interview program that we’ll see in the next chart. Despite the rising popularity of this format staple, only 25% of stations are producing daily talk/interview programs. 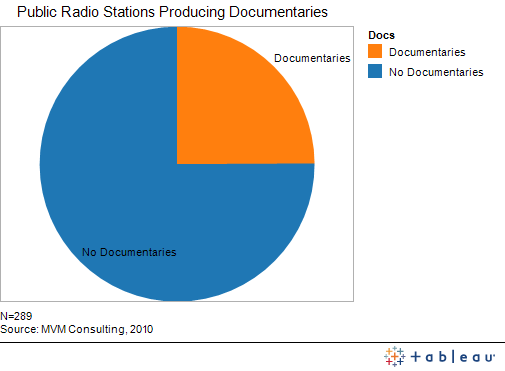 That 25% of stations report producing documentaries is rather striking. This typically long-form production style has been on the decline for years. 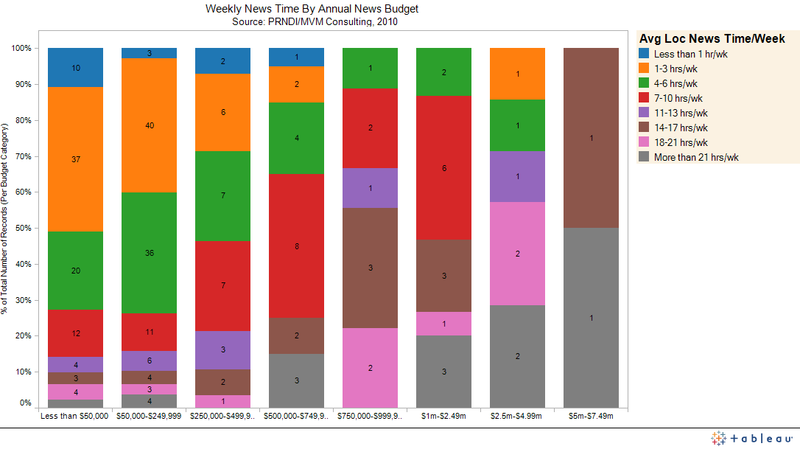 News magazines are rather labor intensive productions and have been less prevalent over the years. 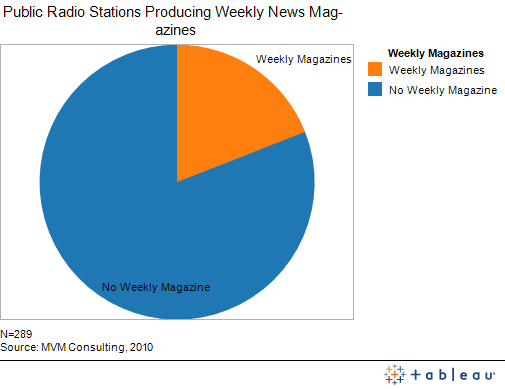 Still, we see a fifth of stations are still producing them on a weekly basis. 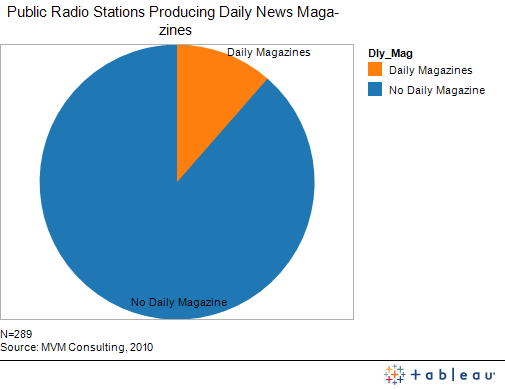 Again, the resource-intensive daily magazine is found on few stations these days (12%). We’ll just group the last three charts here under “Monthly News Programs.” The most prevalent of these are the monthly public affairs programs (9%) and the monthly talk/interview programs (9%). 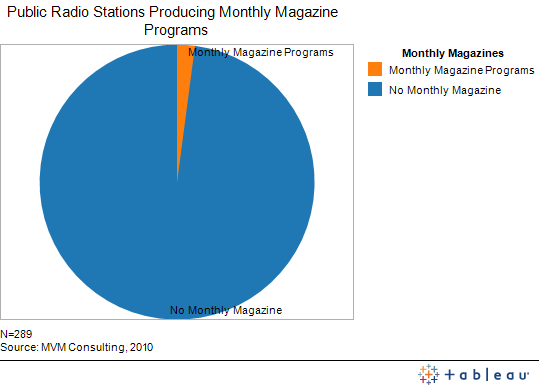 Last, and certainly least, is the monthly magazine found at very few stations.